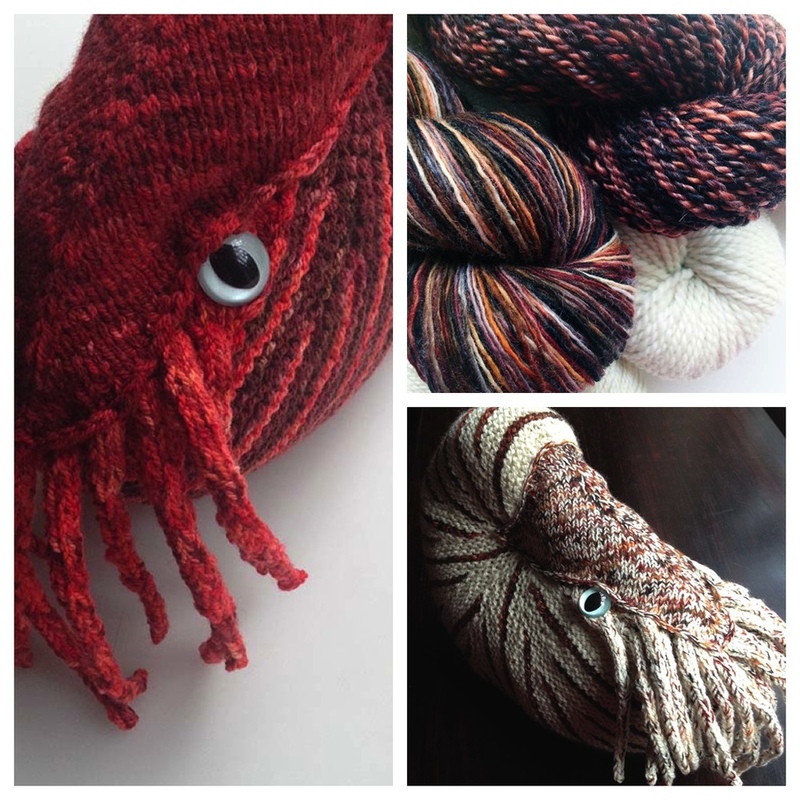 A unique pattern inspired by a fascinating creature, Horatio the Nautilus is the perfect project for the adventurous knitter. His striped shell, elegant tentacles, and protective hood offer a fun knitting challenge that yields a very special creation. Horatio is worked in five parts. He has three layers of tentacles which are worked as icord from a flat base. His hood is worked in stockinette stitch with twin-wrap short rows, and his shell is worked in garter stitch with wrap-and-turn short rows. Nautiluses are members of the cephalopod family. 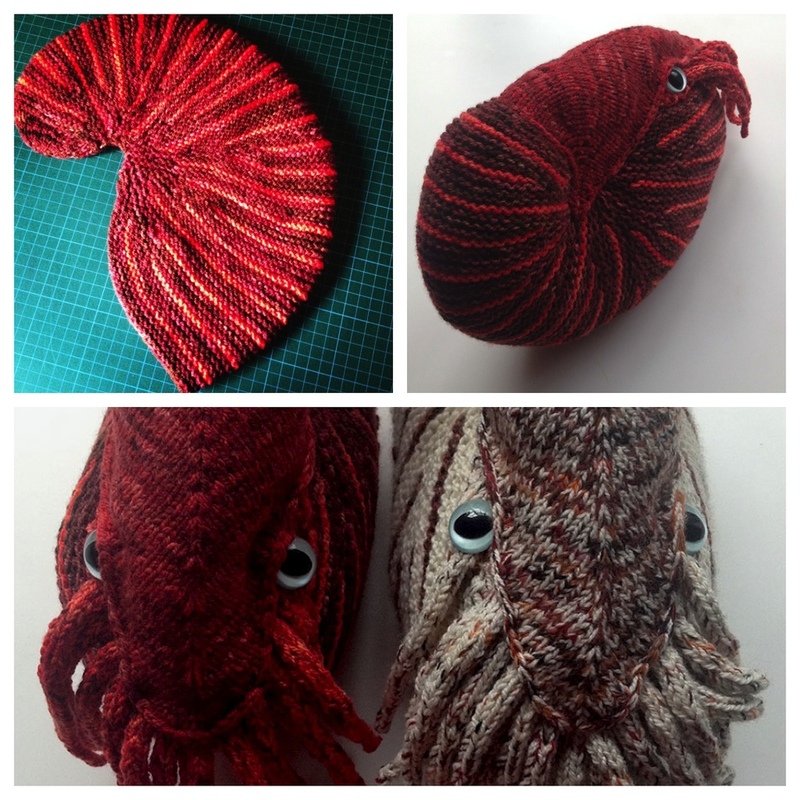 Horatio’s knitted cephalopod family includes Inkling the Squid and Opus the Octopus, also by Cate Carter-Evans.